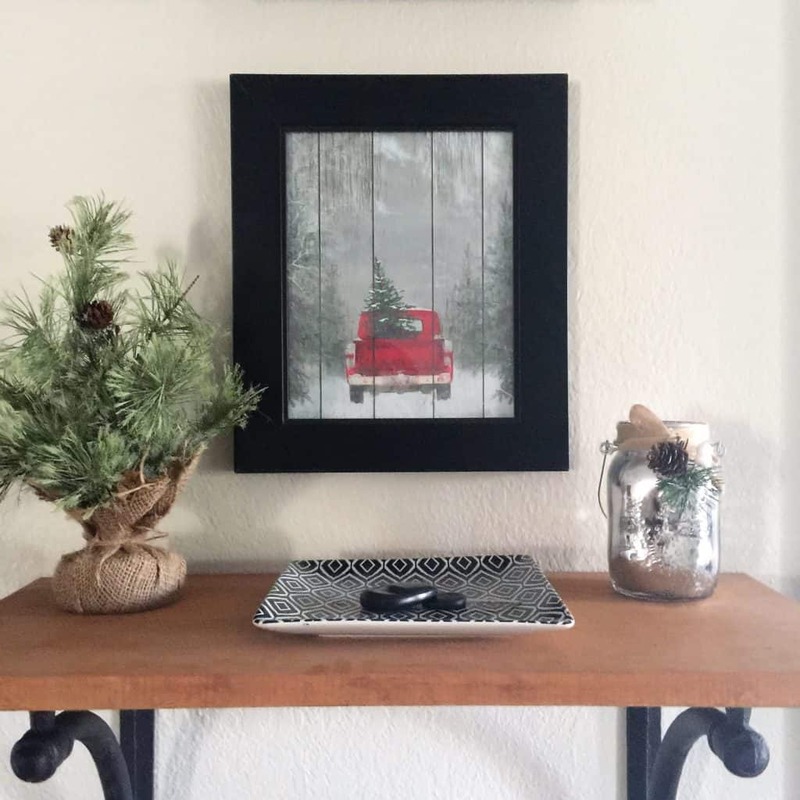 Christmas prints are an easy and fun way to add stylish decor to your home for the holidays. 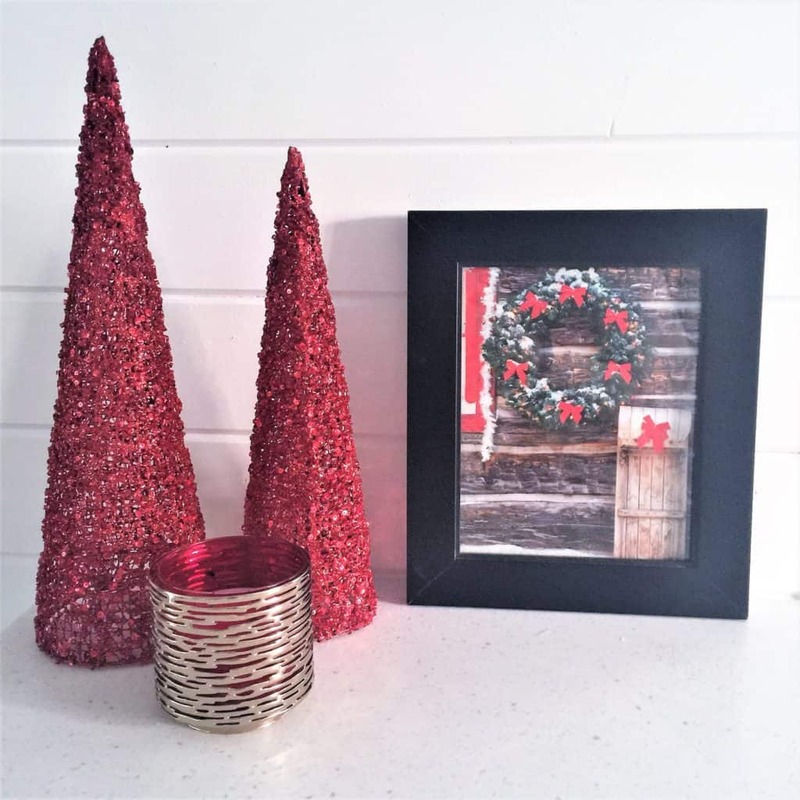 Learn my secret to making a beautiful piece of DIY Christmas decor for just $1! 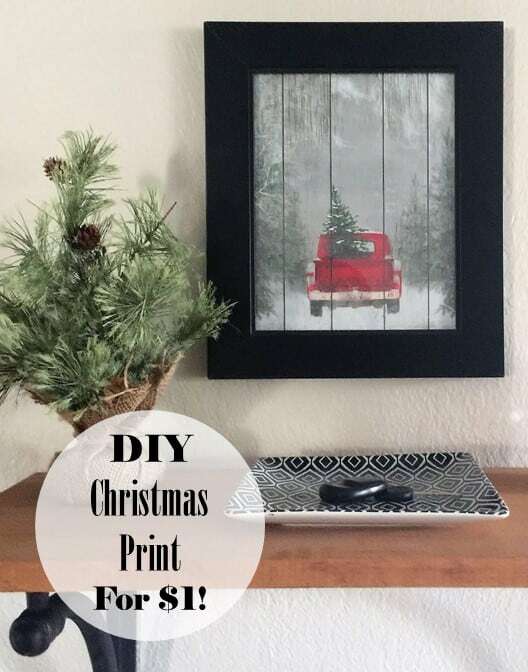 I’m super excited to share this DIY Christmas Print with you because I think they’re super cute and seriously made them for $1 each… That’s right, $1! 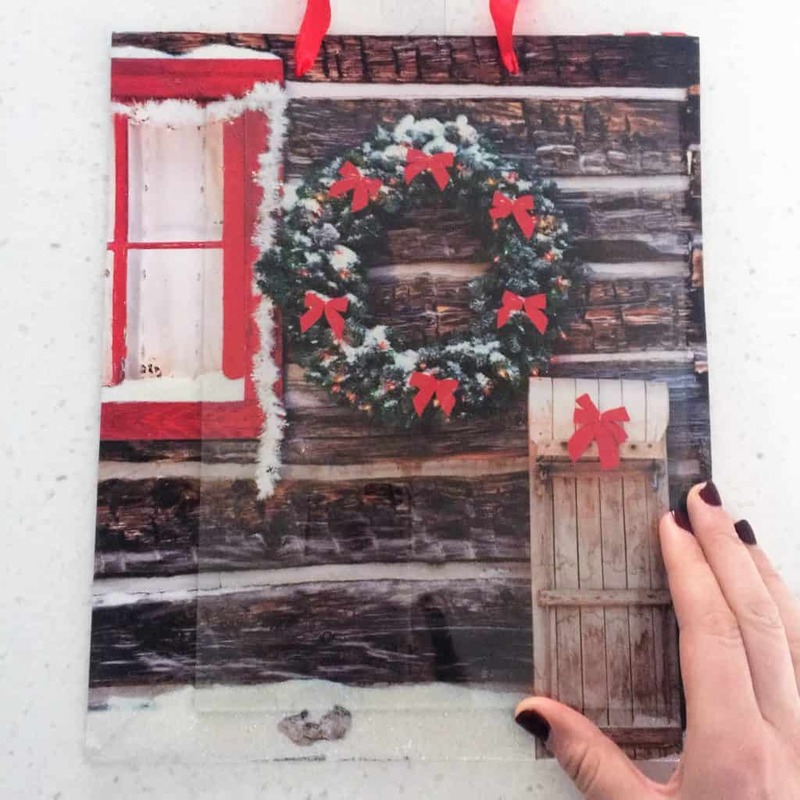 These prints are made out of Christmas gift bags from Dollar Tree. 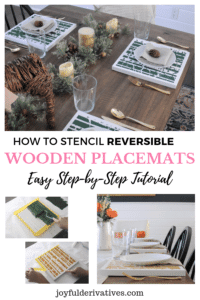 I’m not really going to call this a tutorial because the steps are so simple, but here’s the basic how-to! 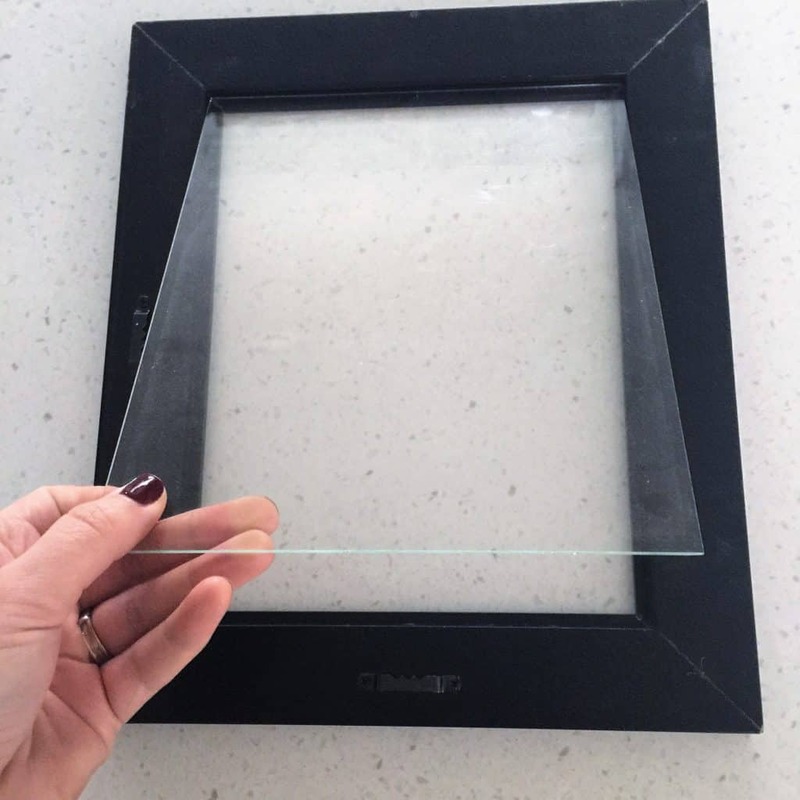 Remove the glass from your frame and place on the non-folded side of your gift bag over the section of the picture you’d like to frame. Trace it out with a pen and cut along your mark. I also made one with a truck gift bag that’s hanging in our entryway. Fun, right? And so easy! 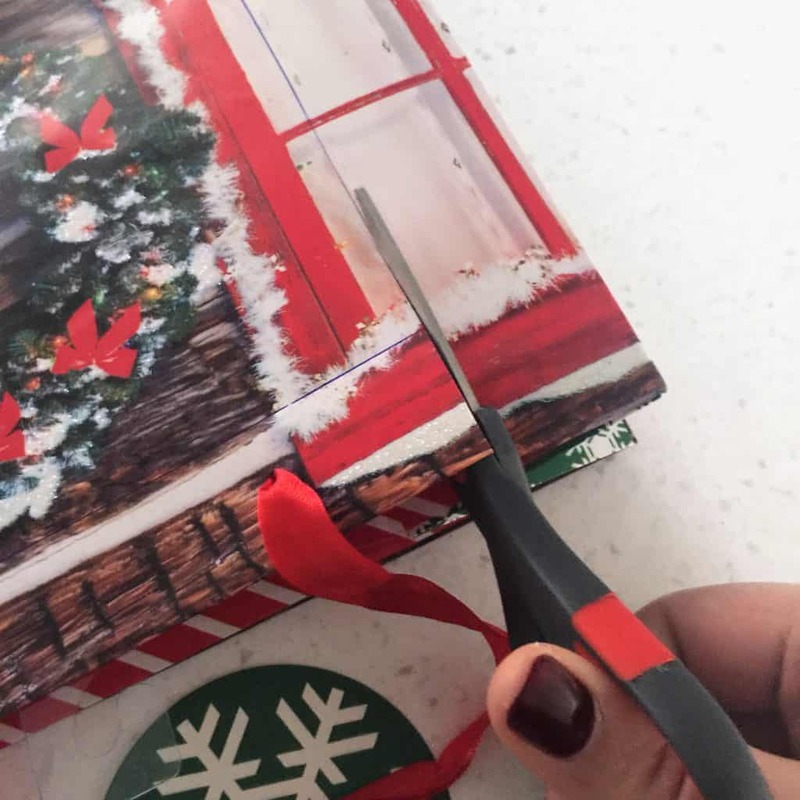 You could do this with any gift bag, really. 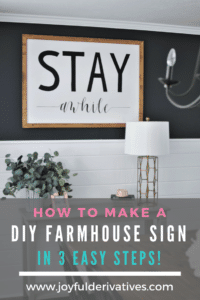 If you spot one with a design you like, buy it and frame it! 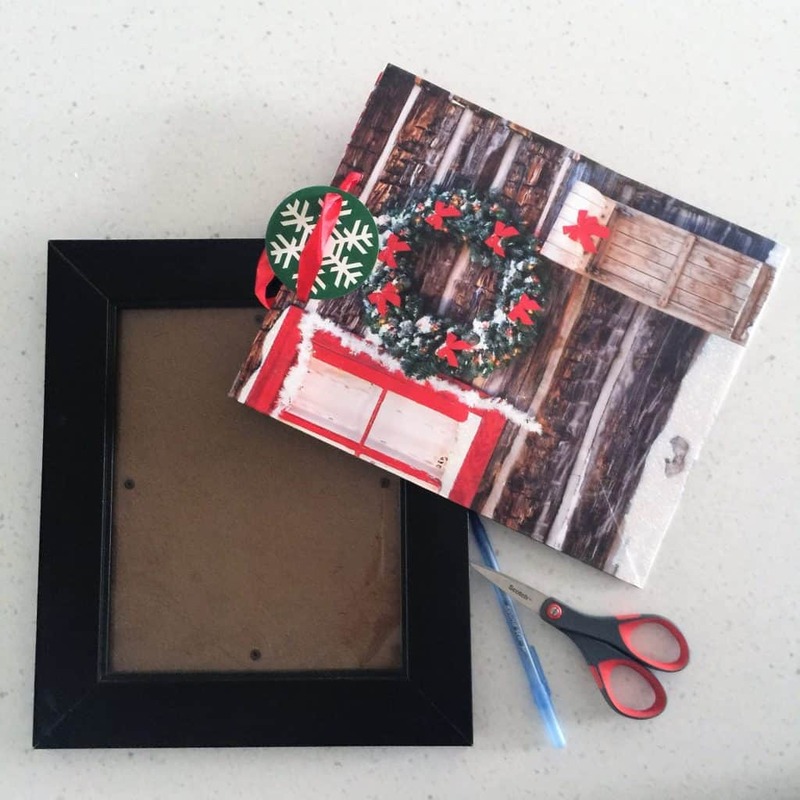 What a cute and inexpensive project! 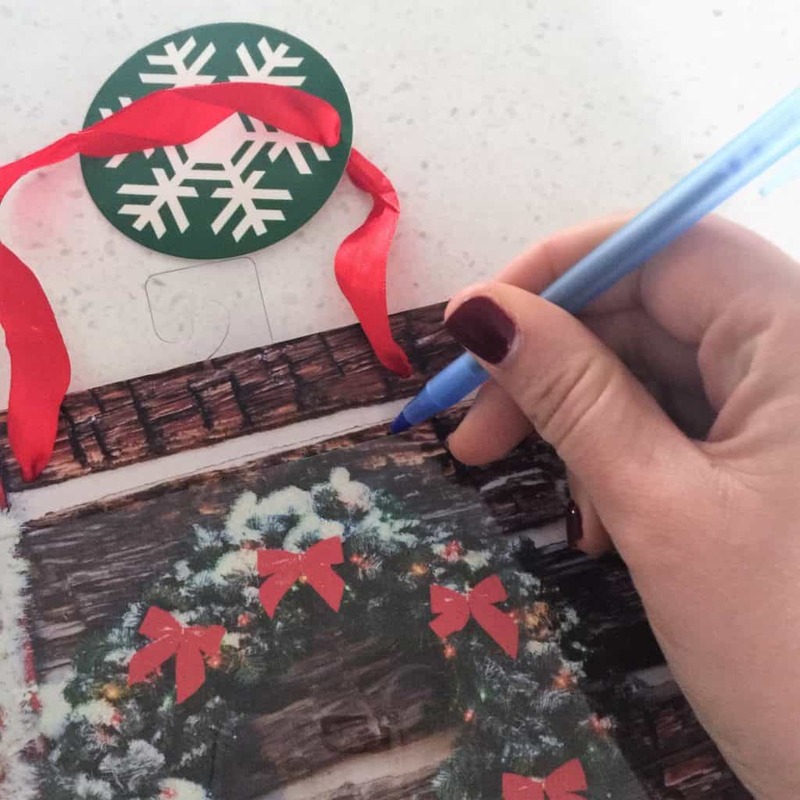 It would be a wonderful DIY for Grandchildren to make for presents.